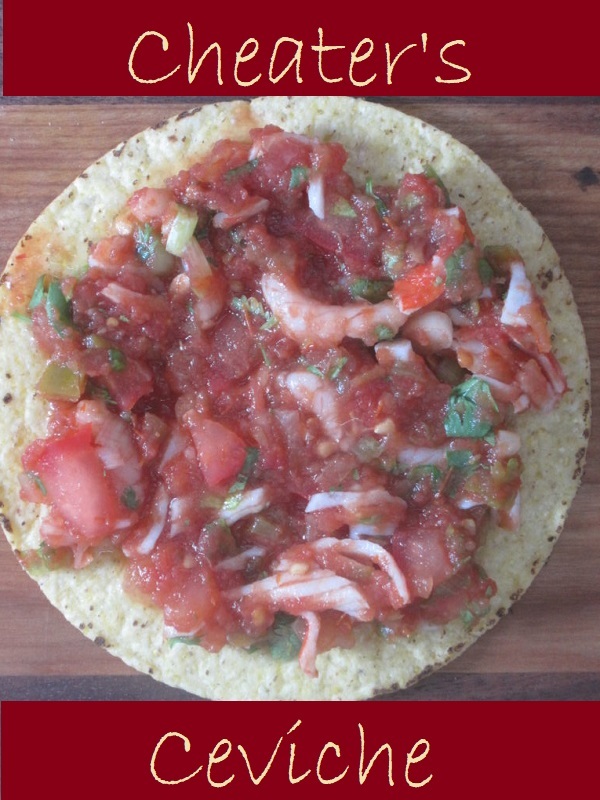 Mixed Ceviche, Patty Cake’s Pantry style, is very simple to prepare. Do you remember my cheater’s salsa recipe? 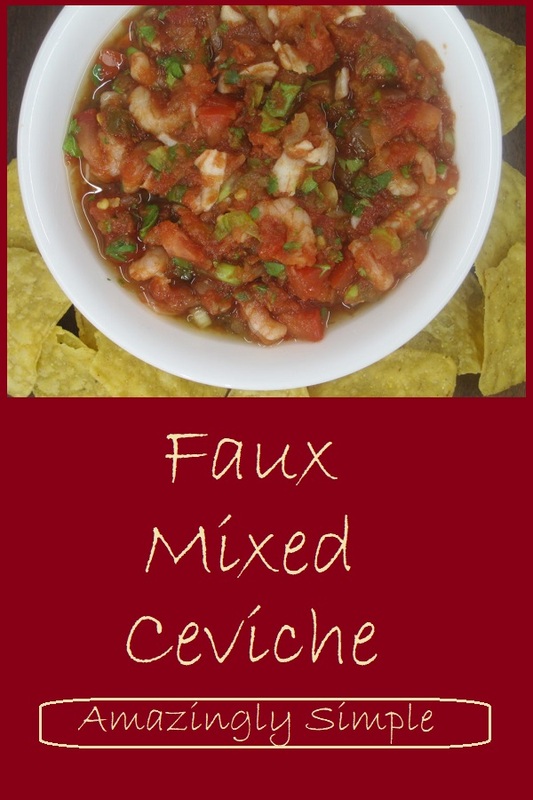 This mixed ceviche recipe is very similar because it is made with several cheats. In spite of this, my “homemade” mixed ceviche is always well received by my guests. It doesn’t matter if it’s New Year’s Eve or Superbowl Sunday, this mixed ceviche, served with crunchy tortilla chips, is always one of the first things to be devoured when I set out the appetizers at any get together. If you’re uncomfortable “cooking” raw seafood with lemon juice, this recipe is for you. This recipe is made simple by the use of small, pre-cooked, salad shrimp, 300-500 per pound, from the frozen food section, and surimi (a.k.a. imitation crab). Don’t be fooled, though, there’s no sacrificing flavor. We really love our cheater’s recipe for Mixed Ceviche, and we hope you’ll love it, too. Preparing good tasting food for your family and friends doesn’t need to be complicated. If you don’t confess, no one will know that you cheated. Just let the prepared ceviche sit in the fridge for at least 30 minutes to allow all of the flavors to fully come together. 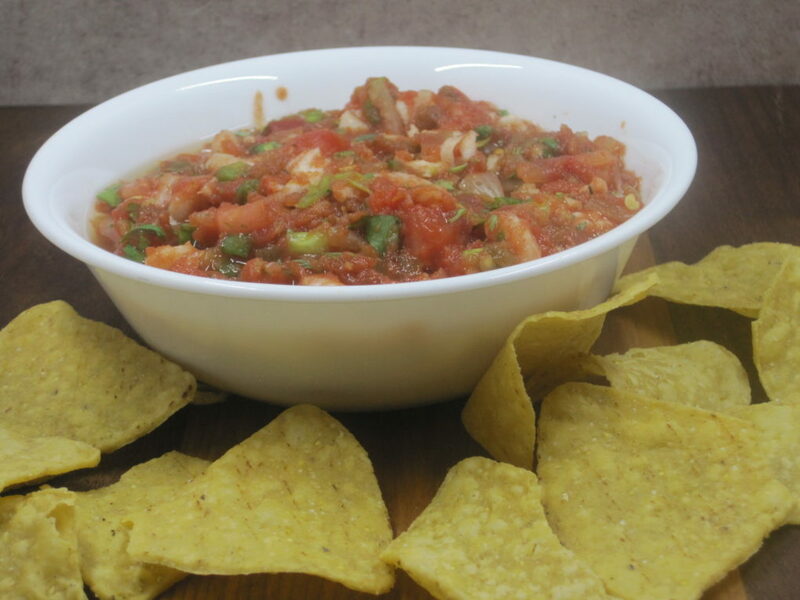 Give this recipe for Mixed Ceviche a try and let us know what you think by leaving a comment below. 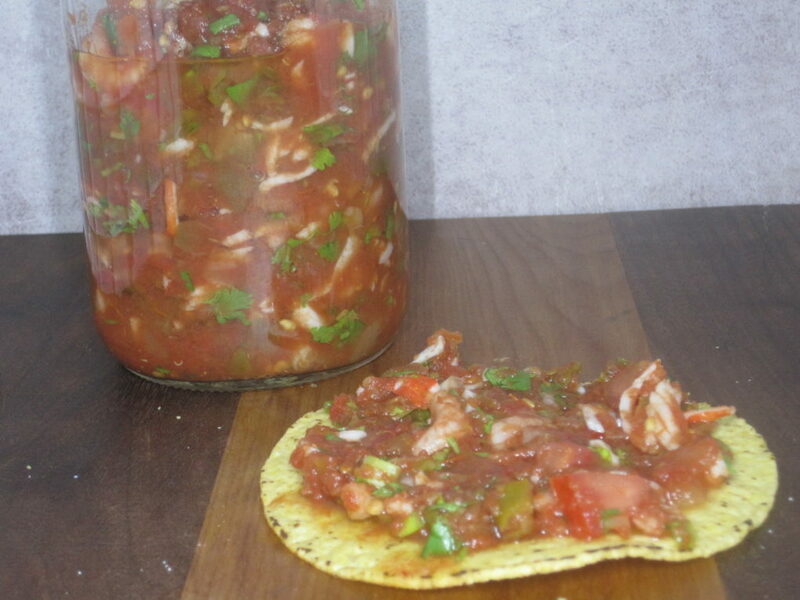 This recipe is a cheater's version of ceviche which is made from ingredients that are readily available at your local market. If you're uncomfortable cooking raw seafood with lemon juice, this recipe is for you. 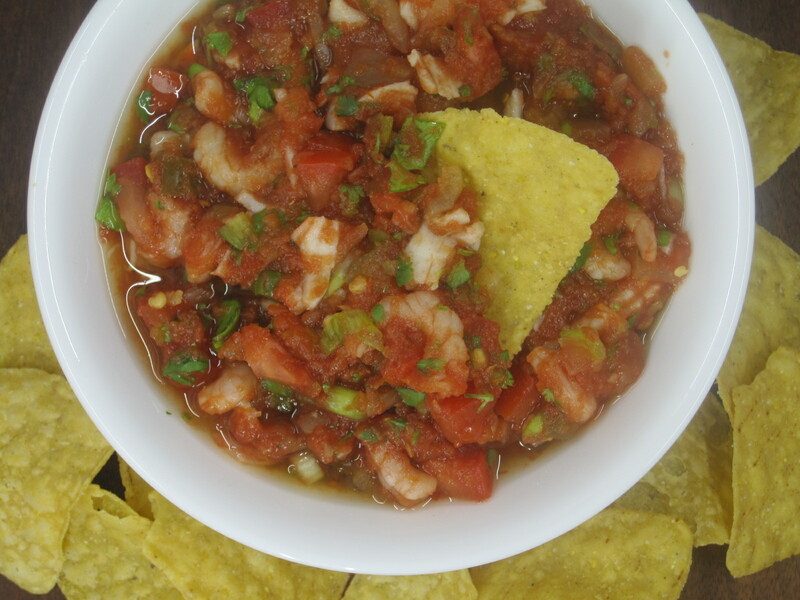 Cook's Notes: Use your favorite salsa as the base for this recipe. 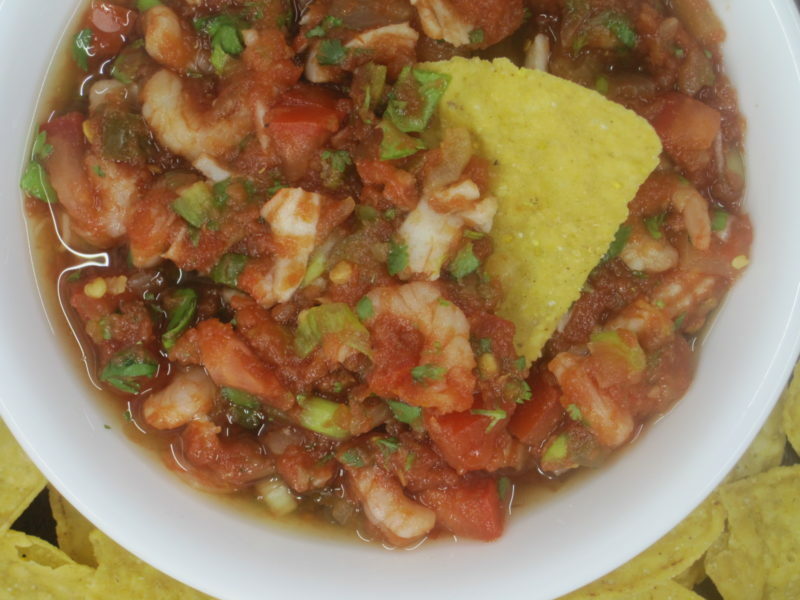 Use the small shrimp for this, so you don't have to do much chopping. We use frozen pre-cooked shrimp that have 300-500 per pound. You can add ½ of cucumber that's been peeled, seeded, and chopped, too.) The total cost of the recipe is $6.07 or about $0.76 per serving. Prepare Vegetables by chopping and slicing, and place in 5 - 6 cup capacity bowl. Chop surimi and separate it into smaller, bite sized pieces. Add shrimp and surimi to bowl with vegetables. Add Salsa to the bowl. Squeeze lime juice over salsa. Cover bowl and store in the refrigerator for at least 30 minutes to allow the flavors to combine. Serve with tortilla chips or on a tostada shell.